Nothing gets the heart pumping like the new 2019 Chevrolet Camaro in Austin, TX. We encourage Round Rock drivers to contact our new and used car dealership in Austin, Texas. The new Camaro comes stacked with 455 lb.-ft. of available torque. Contact Henna Chevrolet to learn about the new Camaro with its slender body, responsive LS trim, and four available powertrain options. This Chevy ride features a lean look, which makes it more aerodynamic. If you're shopping for a new sporty vehicle to complete your adventurous personality, snag a 2019 Camaro in Austin, TX today. The 2019 Chevy Camaro convertible and coupe models will offer impressive advancements that can stand up to the unique demands of the road. With features like sculpted hoods, stylish mesh lower grilles and an overall polished look, the new Camaro is ready to perform. 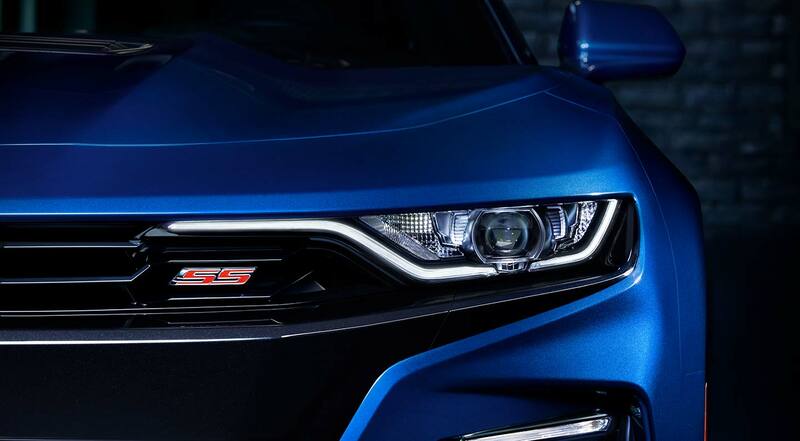 The 2019 Camaro offers a new, signature LED light bar while its LS trim features 275-hp. The horsepower comes from a standard 2.0L engine and a standard 6-speed manual transmission. However, drivers have the option to opt for the available 8-speed paddle-shift automatic transmission. Our Henna Chevrolet sales department will gladly go over all the additional performance elements this 2019 lineup has to offer. This 2019 model is slated to offer impressive performance specifications that help motorists dominate whatever the road throws at them. Each one of the trim levels has impressive features that drivers in Austin, TX will love. Beginning with the LS, the Camaro offers an available automatic transmission. The next trim, the LT, offers several options through the 1LT with 18-inch wheels, the 2LT with heated and ventilated leather-appointed front seats, and the 3LT with a standard 3.6L 335-hp V6 engine. The SS version offers a standard 6.2L 455-hp V8 engine with the 1SS and a head-up display through the 2SS. Then there's the ZL1, with its Active Rev Matching. Which Camaro will you choose? The new Camaro now offers an all-new Shock exterior, Satin Black mirror caps and spoiler, and 20" 5-Split-Spoke Satin Black Wheels (Front/Rear). Sporty new car shoppers who are looking to secure a ride that can be customized to fit not only their personality but their lifestyle are encouraged to snag a 2019 Camaro from our new and used dealership by Round Rock, TX. The new Camaro features a new polished Black grille with Galvano Chrome lower inserts and new LED headlamps, which makes it stand out on any Texas road. This model lineup comes with a variety of eye-catching wheel options, with certain ones boasting multiple finish choices. If you're looking to spruce up your 2019 model, we encourage you to take advantage of our genuine parts and accessories. It is there that you'll see a vast selection of wheels, stripes, emblems, and floormats available for the new Camaro! The responsive 2019 Chevrolet Camaro boasts driver-assistive features such as the standard 7" or an available 8" diagonal touch-screen as well as Apple CarPlay™ compatibility and a Built-in 4G LTE Wi-Fi® hotspot. This 2019 ride will offer the next-generation Chevrolet Infotainment System so that motorists can stay connected no matter where their adventures take them. A rear camera mirror will also be available for the Camaro, so if you're wanting to secure a high-tech vehicle, prepare to test drive Chevy Camaro in Austin, TX today! 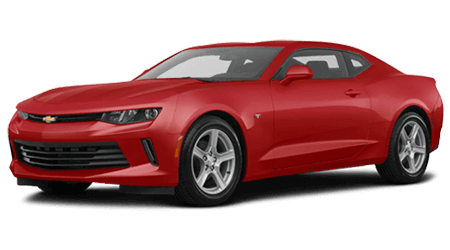 Use our site to value your trade-in so you're ready to buy or lease a Camaro with an available navigation system and a SiriusXM Radio with a trial subscription of the All-Access Package for 12 months.